“Paul Follenius went to sea with the first division under Captain Exter, on the Olbers on March 31, 1834 departing from Bremerhaven. Shortly before, he met with Schmidt and Müller, the two emissaries who were chosen by the Society during the original meeting in Friedberg and sent to Arkansas half a year ahead to investigate the terrain. They could only advise against it! The climate there was insupportable; the land was boggy and unusable in many places. The best territories were already in the hands of the slave owners. The Olbers reached its destination on June 2, 1834 with 354 passengers after a difficult crossing. One passenger, Neyfeld, later wrote that while still near the French coast, disease broke out. It spread so quickly that within two weeks over 30 people had been afflicted with the disease. Fear was widespread, that as they reached New Orleans they would fare even worse when held in quarantine. But worse news came, as they passed ships departing New Orleans, and learned that the cholera epidemic had broke out there. 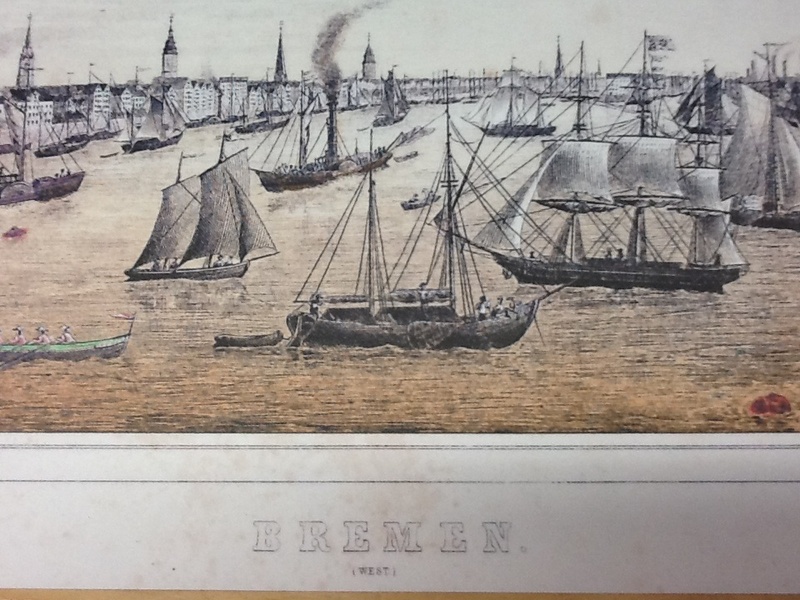 The second division had arrived in Bremen, only to learn their ship chartered was not in port, and no one knew what had become of it. Funds would not support a lengthy stay in the city while waiting for a ship, as they were needed for purchasing land in the U.S. and setting up their homesteads. Desperate to keep their group together, their leader Friedrich Muench, was able to negotiate a temporary lodging for his division on the Harriersand Island in the Weser River, near Brake. The “temporary” stay turned into a stay of over five weeks, with dissent breaking out amongst the division. Diaries and reports of Cornelius Schubert, Friedrich Haupt, Friedrich Muench and Gert Goebel give us hints of the events. Muench was able to secure passage on the Medora, a ship launched by the Beacham Shipyards in Baltiore in August 1832. 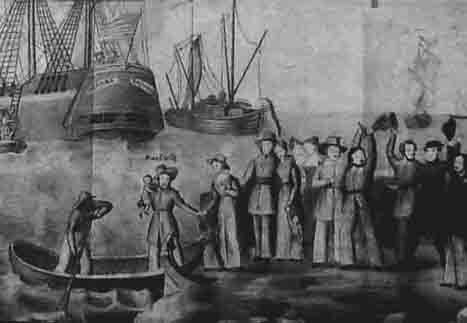 The ship left on June 4, and arrived in Baltimore on captained by David Griffith. 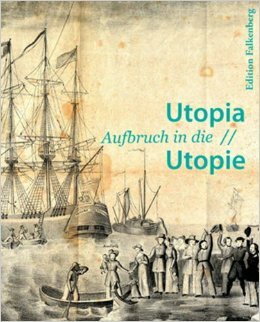 Quotes from the book Utopia – Revisiting a German State in America available in the U.S. from Amazon.